A mattress, duvet and pillow purchase can only be enjoyed to its fullest potential if you have the right sheets on top. 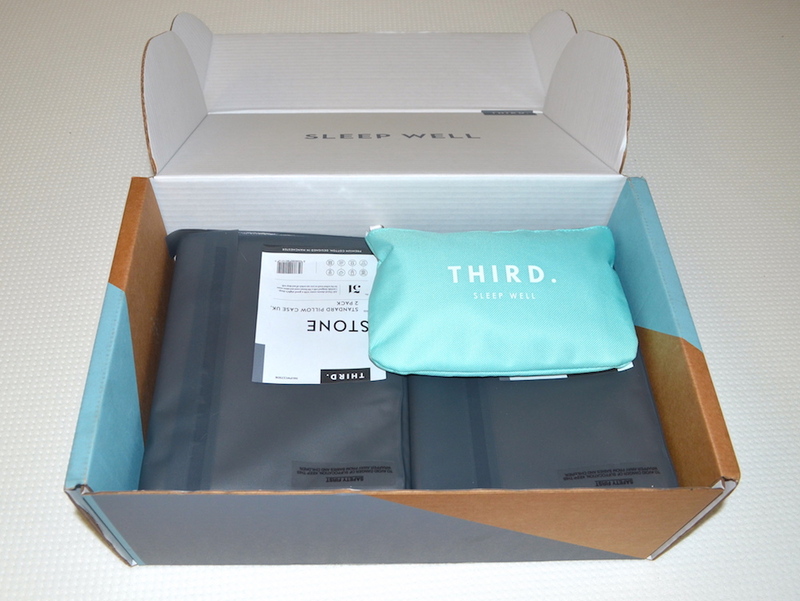 Could Third’s 100% cotton bedsheets be perfect for you? The Third sheets are made of 100% cotton. 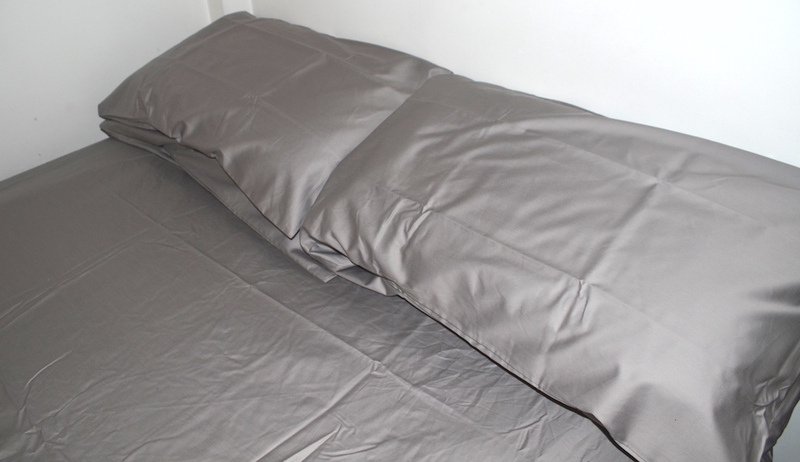 The set comes with a fitted bottom sheet, duvet cover and two or four pillowcases. They are made from high quality long staple cotton fibres, and have a 500 thread count. 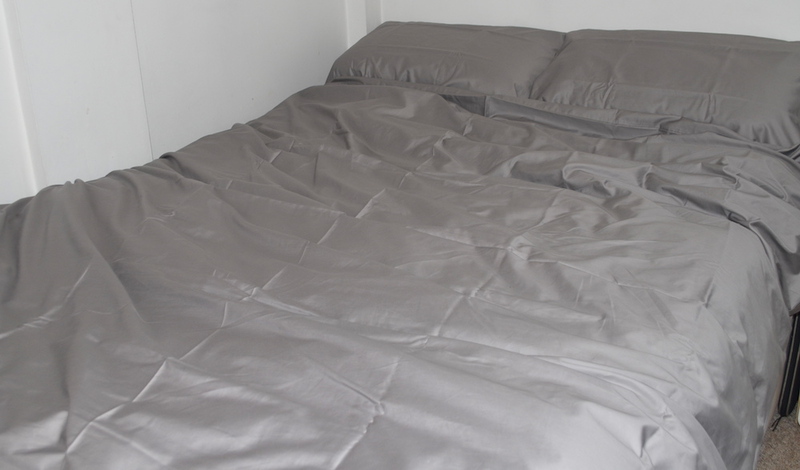 The sheets are extremely high quality, designed to be soft, strong and durable alongside being less prone to wrinkling. Third sheets have a sateen eave, meaning they have a smoother and softer feel thanks to longer surface fibres. 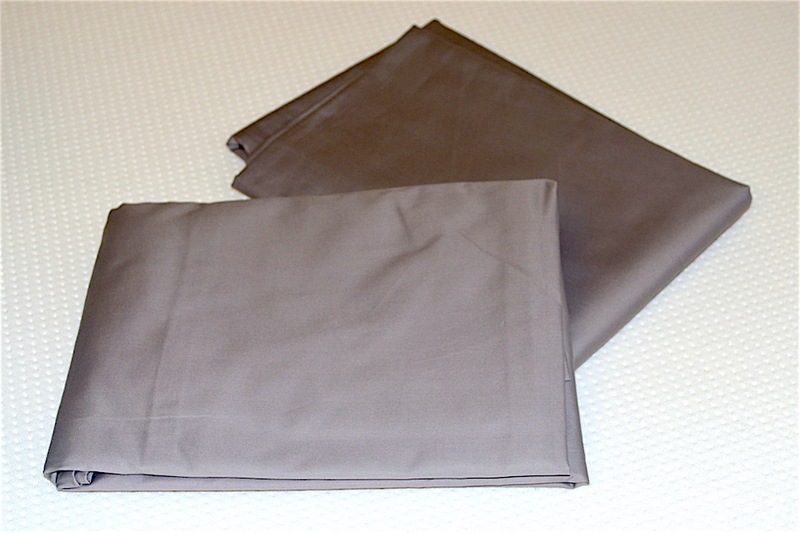 The double Third fitted sheet is 135 x 190 cm, the duvet cover 200 x 200 cm, and the pillowcases 48 x 76 cm. The sheet is fully elasticated around the base, to cling closely to the mattress and stop it coming loose. It’s designed to fit most mattress depths. 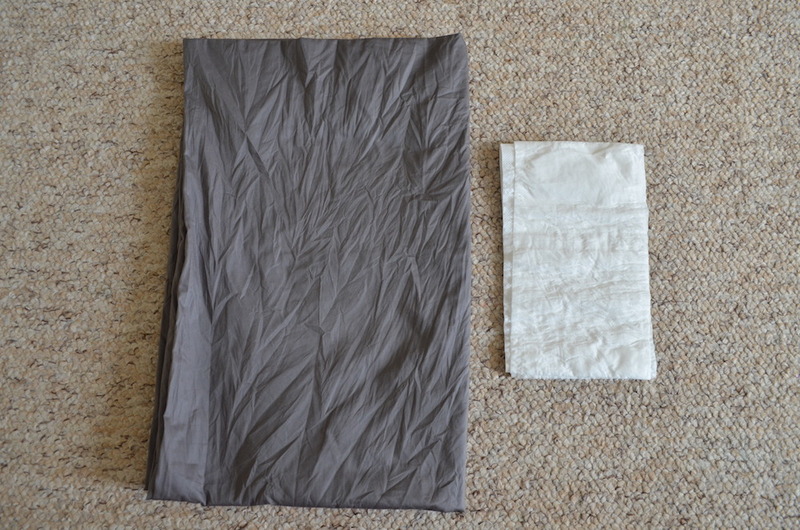 The pillowcases are envelope style, meaning once the pillow is in it’s unlikely to fall out. The 500 thread count was selected by third as the “sweet spot” between price and benefit. They’re designed to be extremely durable and claim to only get softer with every wash. I found the Third sheets to have an extremely strong build quality. I determined this by close examination of each element of the set. Looking closely over the edge stitching of the sheet, duvet cover and pillow cases, I found virtually no loose threads. 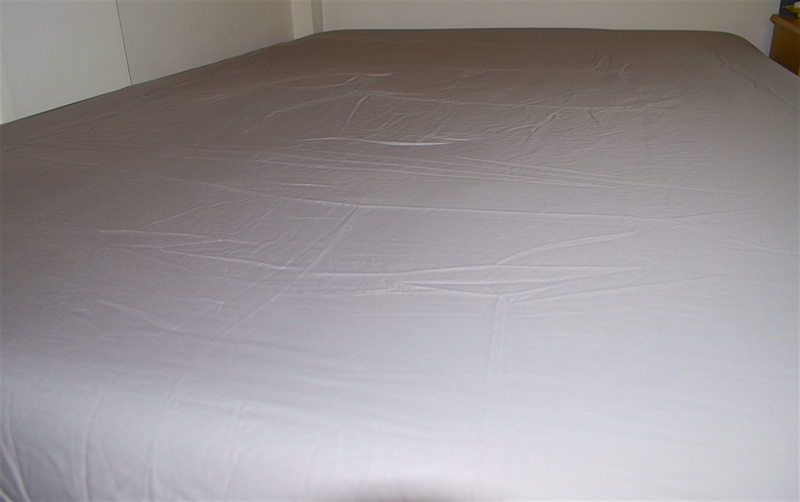 When examining the surface of the sheets, they looks smooth and neat. The sateen style weave means longer fibres lie across the surface of the sheets. This makes them feel very smooth and soft to the touch. Immediately out of the packet, the sheets were somewhat wrinkled, which is to be expected after a long time in storage. However, with no ironing or washing, the wrinkles fell out in a short amount of time, and the sheets had an attractive, smooth, draped look. The three main categories to test sheet quality are shrinkage (to see if the sheets get smaller after a wash), damage (to see if a wash brings about loose threads or other quality issues) and colour (to see for any fading or dye runoff). Shrinkage tests are very important. In order to measure the shrinkage of a set of sheets, I first take a measurement to serve as the baseline, prior to any laundering. Next, I ran my Third sheets through a washer and dryer and retook the same measurements. I then compare the before and after measurements in order to determine how much the first wash shark the bedsheets. I saw minimal shrinkage with the Third sheets. The duvet cover shrank by 1.3%, and the pillowcase by 2.4%. Any shrinkage under 5% is considered good. After this initial wash and the following washes, I carefully inspected the Third sheets for any damage associated with washer and dryer cycles. I did not see any damage either begin or worsen. This test is to see if there is any dye runoff from the Third sheets. To do it, I soaked an unused pillowcase in warm water for a few minutes. I then wrung out the pillowcase and laid it flat. I pressed a wad of tissues into the dampened pillowcase to see if there was any color transfer. The Third sheet have been dyed to a high level of quality and I did not see any color transfer to the tissue. The Third sheets have a sturdy, good quality feel to them. They’re lightweight and err on just the right side of crisp – feeling refreshing and light but not rough or hard. They don’t cling during the night and allow easily for movement. They’re smooth to the touch and feel luxurious on the body. I found the sheets to be great for cooling. They fitted well on their various elements, hugging tightly without feeling too small. They feel very lightweight and breathable. I received the sheets in Stone, a mid-grey colour designed to induce feelings of relaxation. I found the shade appealing, and believe it’s a true unisex hue. This also offers other fairly neutral shades, and some patterned options – all in the general colour scheme of grey, white and blue. After a short amount of time, the initial wrinkles fell out and the sheets had a nice, crisp yet drapey appearance. Overall, I found the style of these sheets to be aesthetically pleasant. Shipping – Free Next Day Delivery & Returns. Price – Ranges from £135 for a single set, to £225 for a super-king set. Trial Period – 75 Day Return Period. Should I Buy The Third Sheets? Want 100% cotton sheets – made from 100% long-staple cotton, these sheets have a great feel, a nice almost-crisp texture, and an increasingly soft feel (softens each wash). Want a high quality sheet – the Third sheets have an extremely high thread count, are made from long staple cotton and have the sateen weave which boosts the feeling of smoothness. They’re durable, strong and comfortable. Want a modern, unisex look – these sheets are available in a range of stylish colours and patterns, alongside a crisp and clean looking classic white. All of the different options are inoffensive, and would suit most people’s aesthetic choices. Want sheets that feel better over time – the high thread count and high quality fibres combine to make these sheets feel smooth and comfortable both out of the packet and even more so over time. Want to know a little more about the Third sheets? Visit thirdliving.co.uk.